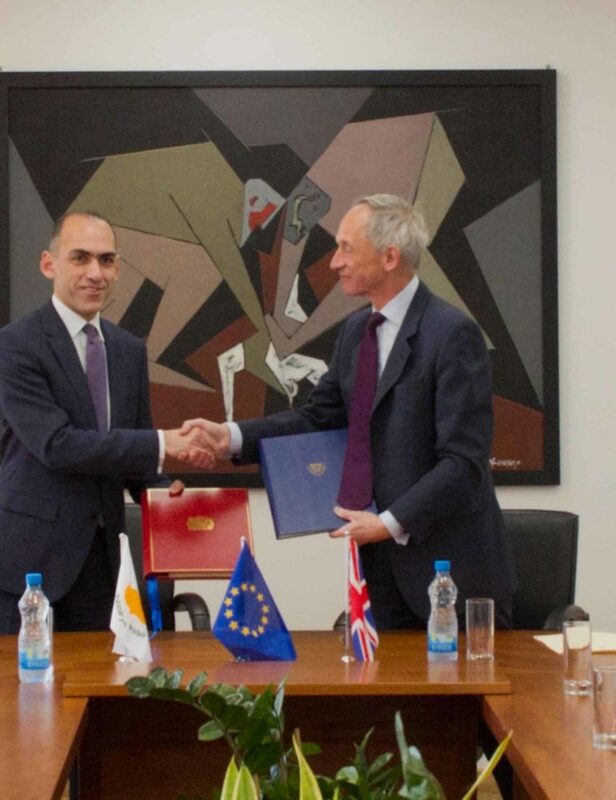 On 22 March 2018 Cyprus and the UK signed a new double tax treaty and accompanying Protocol (the new DTT), which replaced the treaty signed between the two countries back in 1974. 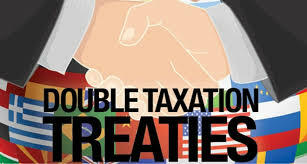 The new treaty is mostly based on the OECD Model Tax Convention framework, with some alterations. It’s scope is to terminate the double taxation regarding the taxes on personal income and on gains deriving from the alienation of (movable and/or immovable) property. It also covers the corporation tax (only for the UK), the defense tax (only for Cyprus), the capital gains tax and also provides for the prevention of tax evasion and avoidance. The new DTT will come into force in Cyprus on the 1st of January 2019. ’’I’m sure it’s a sign for further cooperation in this filed in the years to come. It is important that we should have instruments like this to support our collaboration even in the years after our departure from the EU, but it is not because of our choice last year that we have started to do this’’. ’’This is a relationship that we want to sustain regardless of the UK’s forthcoming exit from the EU. Despite the exit, we believe that our relations in the economic and commercial field must remain strong and the updated treaty is a useful tool in that direction’’. The treaty provides for 0% withholding tax rates (WHT) on payments on dividends when the recipient is also the beneficial owner of the income. When, however, dividends are paid out of income derived directly or indirectly from tax exempt immovable property by certain investment vehicles, a WHT of the class of 15% will apply. WHT on interest and royalty payments will be zero in cases where the recipient of the interest or royalties is also the beneficial owner of the income. - Where the shares derive more then 50% of their value (directly or indirectly) from immovable property situated in the UK. This rule shall not have any effect to shares in which there is substantial and regular trading on a Stock Exchange. - Where the shares derive their value or the greater part of their value (directly or indirectly) from certain offshore rights/property relating to exploration or exploitation of the seabed or subsoil or their natural resources located in the UK. With regards to pension income of Cyprus tax resident individuals, Cyprus shall retain the exclusive taxing rights. Cases of UK Government service pensions shall be excluded. - In cases where a person is a resident of only one of the two Contracting States for the purposes of the Convention, it is highly possible that an improper application of the Convention and/or the domestic law of either State may occur. The new DTT is based on the new OECD Model Convention and incorporates all the minimum standards of the Base Erosion and Profit Shifting (BEPS) project Action 14 (Making Dispute Resolution Mechanisms More Effective) and Action 6 report ‘Principle Purpose Test’ (PPT), as issued by the OECD/G20 in 2015. Under PTT, a DTT benefit will not be given if it is reasonable to conclude that obtaining that benefit was one of the principal purposes of an arrangement and/or transaction. That way, “treaty shopping” is avoided and a commercial rationale with substance is ensured. Finally, the new DTT includes the exchange of financial and other information with respect to the relevant Article of the Model Convention.